These past few days and for good reason, all eyes have been on Baltimore and the meeting of the U.S. bishops which has just concluded. Many Catholics here in our own Archdiocese, as well as many across the country, are rightly dismayed by what they perceive as a lack of decisive action to strengthen protocols of accountability for bishops accused of sexual abuse or misconduct. Understandably, there is a sense that this was a missed opportunity – and one unnecessarily so. 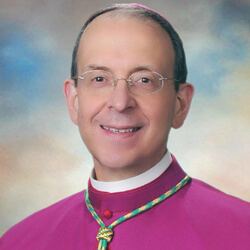 Soon after we bishops were advised of the request by Holy See to defer a formal vote on new accountability requirements at the opening of the first session, I advocated for a vote to convey the broad consensus of the attending bishops that we must be held fully accountable – as are priests, deacons, lay employees and volunteers of the Church – in matters of moral and professional conduct. I am confident that our determination to enact such standards in the United States will be expressed at the meeting in Rome next February, when the heads of the world’s episcopal conferences meet with the Holy Father to discuss global accountability measures. In the meantime, I wish to assure God’s people of this local Church that here in the Archdiocese of Baltimore, there is already in place “zero tolerance” for any deacon, priest, bishop, lay employee or volunteer who is credibly accused of sexual abuse or harassment of any kind. Moreover, the bishops of Baltimore (myself included along with Bishop Adam Parker, Bishop Mark Brennan and Bishop Denis Madden) already sign and agree to adhere to a strict code of conduct, the same that applies to all clergy, religious and lay employees and volunteers. Furthermore, I have called for the expansion of the purview of our Independent Review Board so they receive directly any allegation of misconduct by a bishop in the Archdiocese of Baltimore. Last Sunday, the Baltimore Sun featured my guest editorial in which I outlined what I believe is a viable path to reform and renewal. Without question, a commitment to utmost transparency and accountability is a non-negotiable requirement in this long and arduous journey. You can read the full editorial HERE. I shared many of these same sentiments in a recorded homily (CLICK HERE TO WATCH) that I asked be shared at Masses throughout the Archdiocese this weekend. Our Holy Father is committed to the protection of children, and he expects that all bishops will be holy and faithful shepherds of God’s people. I join the clergy, religious and lay faithful of the Archdiocese of Baltimore – especially those survivors of abuse – in urging strong, decisive and swift action that leads to universal transparency and accountability. Each and every day I am inspired by the remarkable witness that you provide to God’s saving grace and His abiding presence among us. Each and every day there is abundant evidence of the lively and active faith that sustains us and enables us to see a path through this crisis, asserting Christ’s Gospel of unconditional love, forgiveness, healing and constant care for those most vulnerable in our midst. I ask you to not lose heart and to stay with us as together we strive to bring about the healing and restoration of trust that is so urgently needed. I will continue to communicate often with you on these difficult and important matters. I ask humbly for your prayers that I may be faithful to my own calling as your shepherd, mindful of my own weakness and dependence on Jesus Christ who alone is the source of all goodness that we reflect and accomplish.